The affiliate program management for The Neat Company, makers of document scanners and cloud organization services, is in the Commission Junction network. Neat’s goal is to help you get what matters for your growing business or home financial organization needs. You shouldn’t have to work to use your information. Get control of the information on your documents, work more efficiently and gain time by integrating a Neat scanner to your business or home. 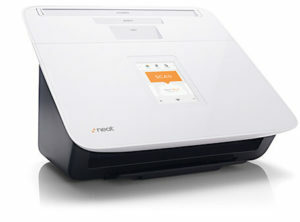 NeatConnect, the newest addition to the Neat scanner lineup, is a cloud scanner and digital filing system. Scan directly to email and cloud services with the intuitive wireless touchscreen. The patented input tray is adjustable to allow multiple sizes of paper to be put through, including receipts, business cards and invoices. The NeatConnect can scan directly to a variety of programs you may already use! Take control of your time and valuable information with a Neat scanner. You’ll be able to go paperless and rid yourself of paper clutter. You’ll find you have more time to do the things you want because Neat reads the data off scanned items and organizes it for you so tracking expenses, creating expense reports, getting ready for tax time and finding files is quick and easy. You’ll also be able to access the information you want from anywhere. Neat offers 8% commission on sales and a 45 day cookie. SMB, business tips, travel, and organizing affiliates are encouraged to join the Neat Company affiliate program in CJ. Affiliate partners can sign up directly through Commission Junction. Affiliate Program Management provided by a dedicated account manager at Versa Marketing Inc.